Living in a British capital city is a multicultural experience. Hundreds of languages, and the lives that accompany these speaking tongues, merge into a vast social space, many keen to establish an identity abroad; adopting their new land and its laws and mixing their own culture into an ever expanding and accepting city pool. ‘Seek and ye shall find…’ And without much difficulty I found (with great joy) just that! Outside the city gates is a world of verdant pastures, the pleasures of yesteryear – a bygone era we can all take part in and enjoy. 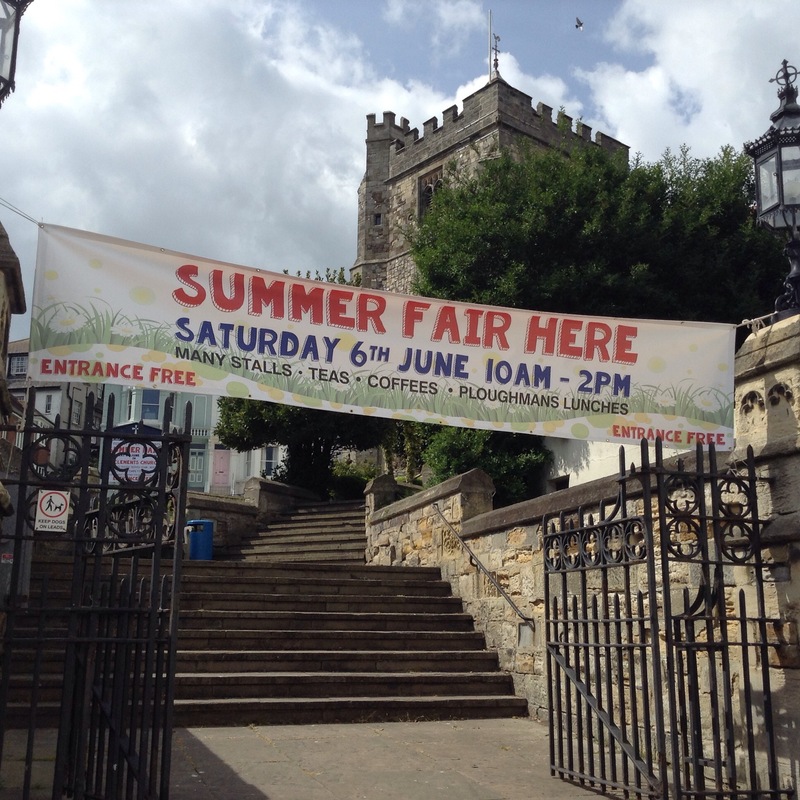 Just look at this banner…a summer fair, teas, a ploughmans lunch and the safe ceiling of a Victorian church when it unexpectedly gets rained off. Blissfully British!